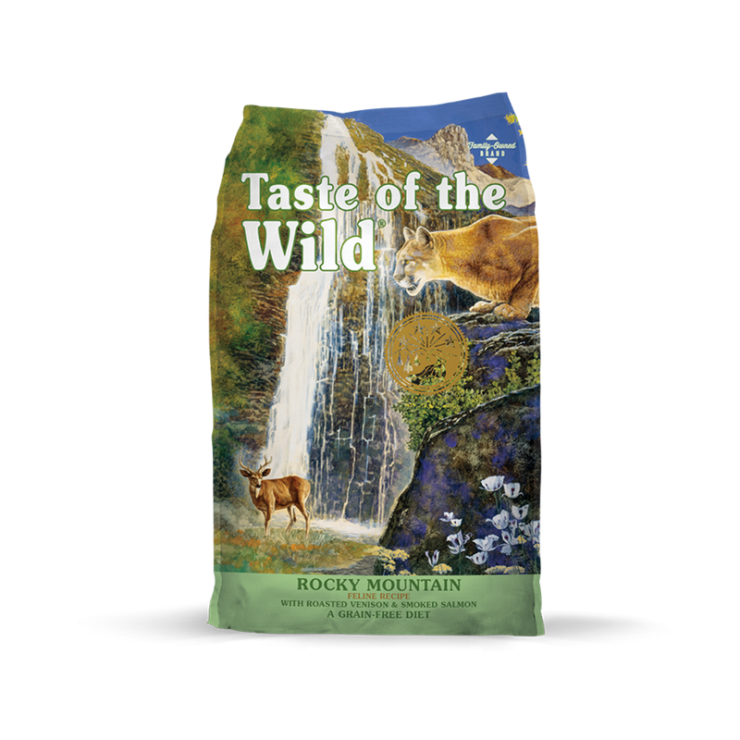 With 42% protein, Taste of the Wild Rocky Mountain Feline Recipe is packed with highly digestible energy for cats of all ages. The unique combination of roasted venison and smoked salmon provide your cat with ideal protein, vital to a lean and healthy body, while legumes, vegetables, fruits and carefully selected ingredients provide them with the balanced nutrition nature intended. If you have questions about Taste of the Wild Rocky Mountain Feline Recipe or any of our other products, give us a call or stop by one of our store locations. We are happy to help with whatever you need!